Has anyone had issues with their transmissions overheating? This past summer I drove from Denver to Wichita. Every time I drove over 70mph my transmission would over heat into the 280 degrees +. 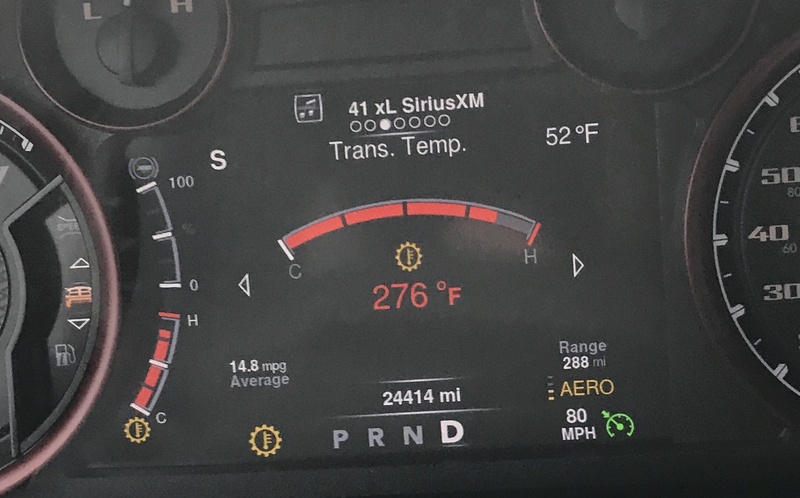 I had this same issue happen to me in January on the highway.I have taken the truck into the shop and they report no issues with the transmission and no error codes were thrown. Any Ideas? facing this problem in a towing truck have you got the solution? I have a ram towing truck of New York Car towing services, looking for a solution.